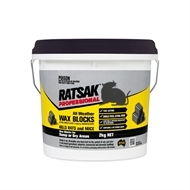 Ratsak Professional All Weather Wax Blocks provide fast and effective rodent control, killing both rats and mice in a single feed. 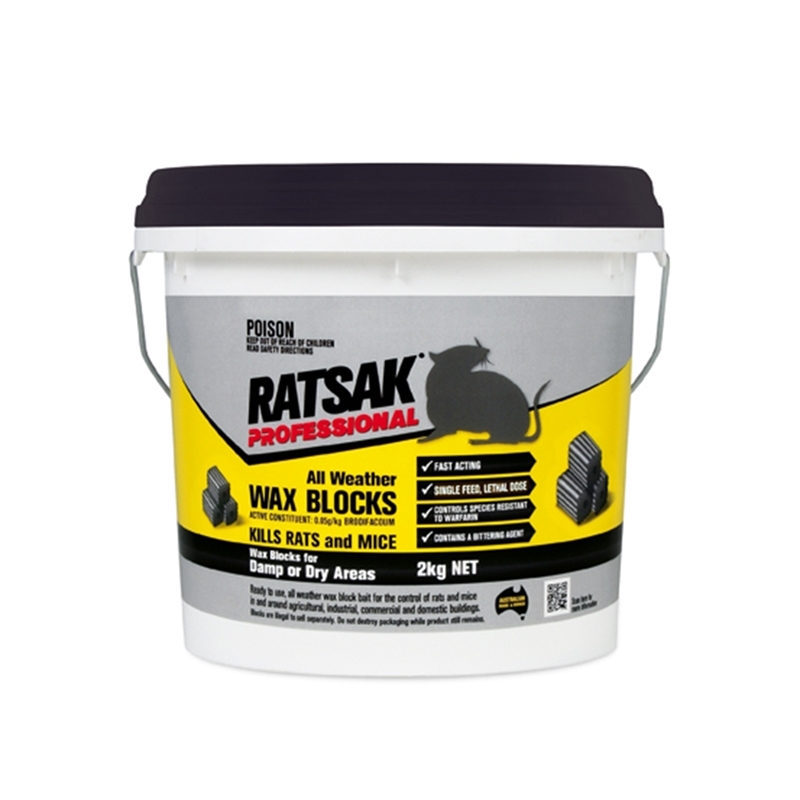 The weather resistant bait block are ideal for damp or dry areas, and have centre holes which can be used for fixing in place - ie nailing to roof trusses etc. The baits can also be used to refill plastic rodent bait stations.